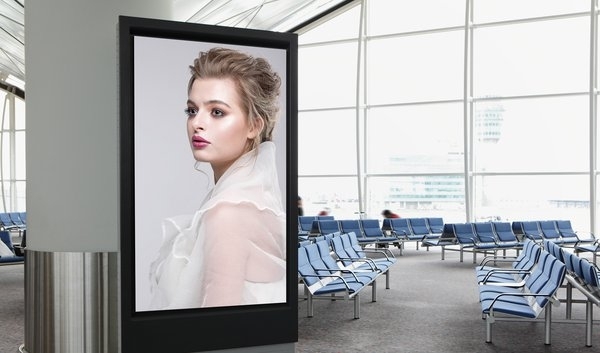 Traditional displays typically allow for only one video signal, or message, to be displayed. LED GARANTi’s seamless LED video displays can display multiple signals and sources within various user-defined zones. Content can be scaled and displayed across a single screen or split up and displayed across multiple screens. An LED video display specialist can discuss your content needs and find the optimum LED Video Display solution for you. Communicate your message in a way that is dynamic, engaging, and impactful. David Maister, author of Psychology of Waiting Lines states that “Occupied time feels shorter than unoccupied time.” Give your passengers something new and fun to look at. Engage them or even surprise them a little. Sure, passengers have their cell phones at their fingertips, but they would certainly appreciate new and engaging content from you. According to screen.cloud.com, 20% of your audience will engage with printed content, while 80% of your audience is likely to engage with video content. You wouldn’t invite a guest over to your house just to sit in your living room. Why would you let your passenger’s just sit in your lobby? Give them the option of viewing exciting and engaging content provided by you.